Welcome to Santa’s Grotto at Blackthorpe Barn. Please start by selecting a date from the calendar below. Please remember to give us as much detail as possible in the fields about your child in order for us to create a magical experience. For his last two days at Blackthorpe Barn’s grotto this year, Santa wants to make the experience even more special. So after visiting Santa, each child will get the chance to make their own unique Christmas decoration to hang on their tree at home as a lasting reminder of their wonderful day. After visiting Santa, each family group will go to a special area where each child will be able to dip a bauble into a magical oil tub. When they lift it out it will be marbled all over. Every bauble will be different. After just a few minutes the bauble will be dry for a ribbon to be attached and presented in a special box. 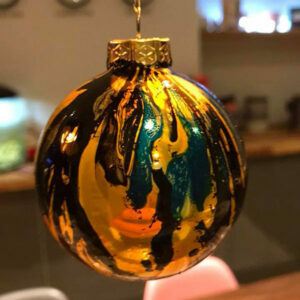 This unique bauble is now ready to be taken home and hung on the tree, so when Santa visits, he will be able to see the beautiful bauble hanging up in all its glory. Any special requirements (eg. wheelchair access)? Did you visit us last year? 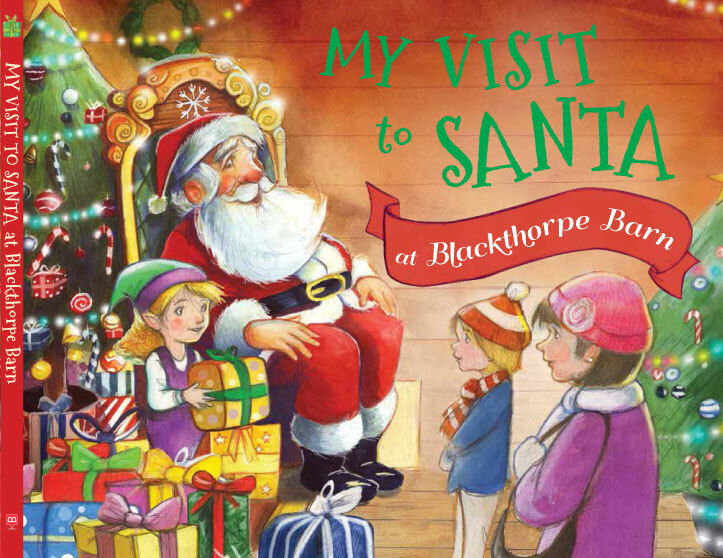 Did you visit our last year and receive a copy of "My visit to Santa at Blackthorpe Barn". Click here to see cover.